"Rivera R., P. and Koch, P. 1984 . 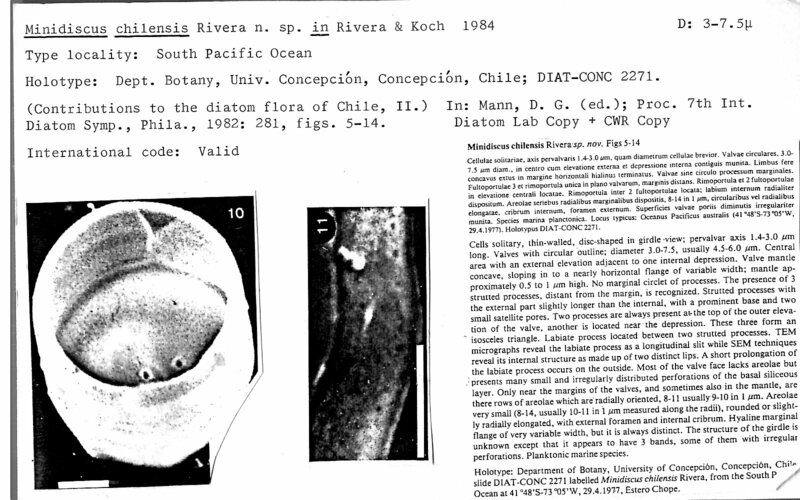 Contributions to the diatom flora of Chile II. In: D.G. Mann (ed. 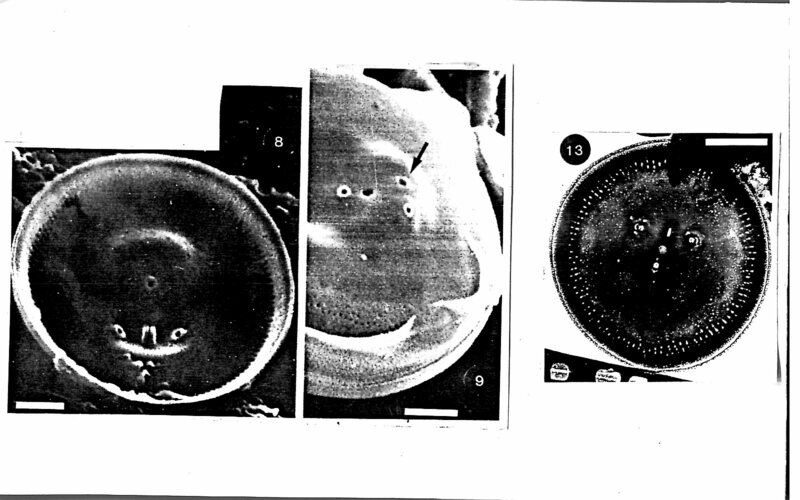 ), Proceedings of the Seventh International Diatom Symposium, Philadelphia, August 22-27, 1982. Koeltz Science Publishers, Koenigstein. pp. 279-298."